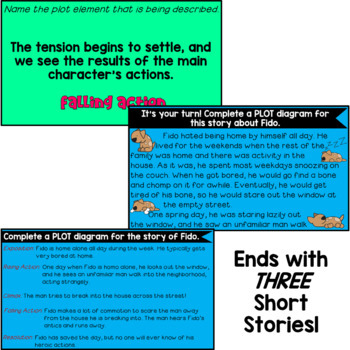 Elements of Plot: A Bundle of Activities! 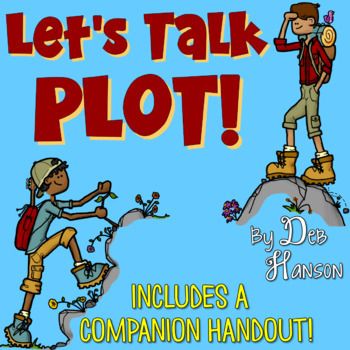 This 43-slide PowerPoint is perfect for introducing your students to the concept of PLOT. Plot is presented in a step-by-step manner. It includes practice slides where students identify the plot elements of EXPANDED VERSIONS of well-known nursery rhymes "Jack and Jill" and "Little Miss Muffet". 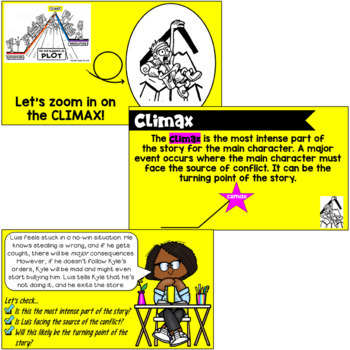 Elements of plot include: exposition (introduction), rising action, climax, falling action, and resolution (conclusion). 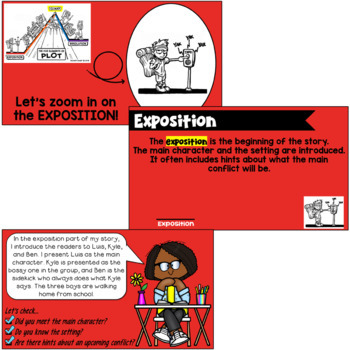 Definitions for each are included in the PowerPoint. It also includes a bonus matching 4-page PowerPoint companion handout. Students can write on the handout, recording answers, as you progress through the PowerPoint. Slides 11-16: The Map of "Jack and Jill"
Slides 24- 30: Identifying the Plot Elements of "Jack and Jill"
Slides 31- 38: Identifying the Plot Elements of "Little Miss Muffet"
Please note: The PowerPoint cannot be edited due to the copyright requirements made by the contributing artists (clip art, font, background).